So, you only have $15,000 to spend on a car? In most cases, that wouldn’t be enough to get you what you want, but if you’re looking for a no-frills ride that you can maximize with your spending limit, this list of cars gives you lots of options to choose from. 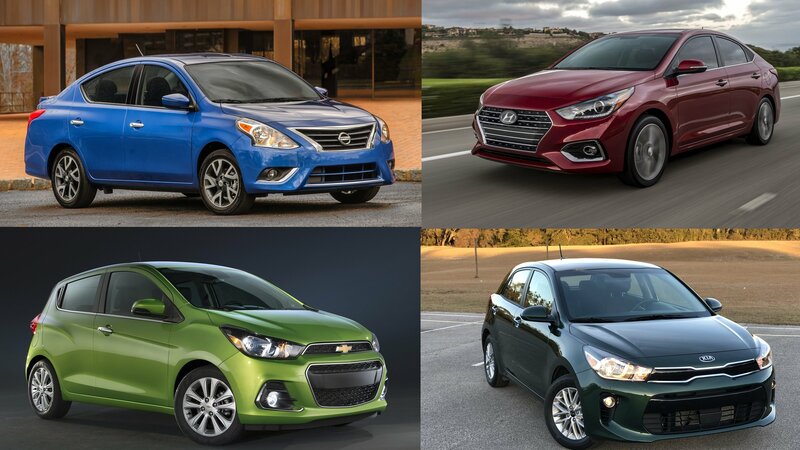 Do you want a subcompact car that boasts impressive interior space? How about one that packs more power than you thought? What about a car that has everything you need, or at least everything you think you need at the price you’re willing to pay for it. The cars on this list could be the answer you’re looking for. At the 2014 Los Angeles Auto Show, Nissan launched the “Color Studio,” a factory personalization program that allows customers to add an array of accessories and accent colors to their vehicles. The program was first introduced for the Juke, but at 2015 Los Angeles Auto Show it will expand to the 2016 model year Versa Note. The concept is obviously identical to the hatchback. Customers have six exterior parts and six interior features finished to their own liking, as long as they select one of the six hues available. The accent colors can be paired with of the Versa Note’s seven exterior colors and two interior shades, resulting in tens of possible combinations. The Color Studio program also comes with a special website that offers a full 360-degree view of the Versa Note in all colors and combinations. The said page will go live here starting November 17th. 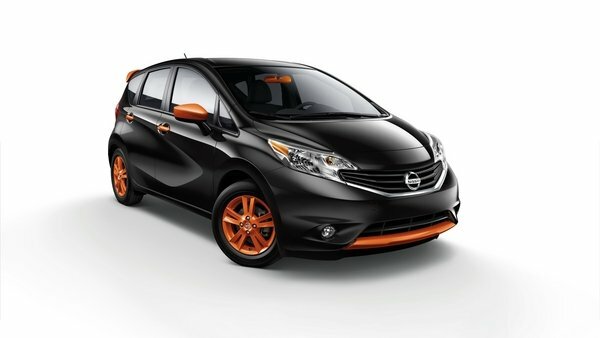 Continue reading to learn more about the Nissan Versa Note Color Studio. The 2015 Nissan Versa Sedan made its debut at the 2014 New York International Auto Show and if you were hoping to get wholesale changes to make the car more appealing to the public, then you’re in for a rude awakening. Granted, there are some upgrades, but not enough to make you itch to get your hands on one. Some simple tweaks to the front and rear sections and a slightly improved interior are the best that you can hope for with the 2015 model. Even the engine, with its pedestrian 109-horsepower output, hasn’t been changed. We would’ve hoped that Nissan did something about that considering that a lot of its rivals offer significantly more power, even though you have to spend a little more for them. In the end, the 2015 Versa Sedan does still hold the distinction of being the cheapest model in its segment, so Nissan is probably riding that advantage until the cows come home. How long will that strategy last depends on how fast consumers realize that spending a little more could get you a car much better equipped than the Versa Sedan. Then again, at this price point — typically aimed at young buyers with a very limited budget — every dime counts and sacrifices are made to save those dimes. 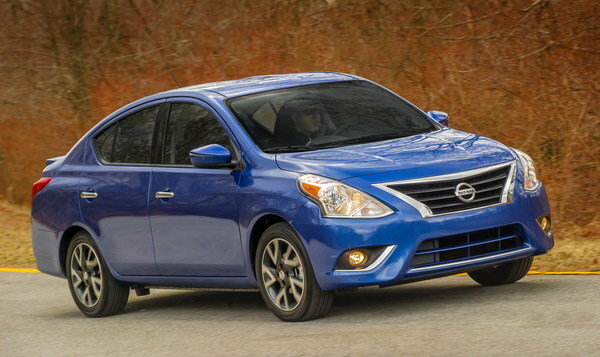 Updated 09/08/2015: Nissan announced prices for the 2016 Versa sedan which goes on sale now at Nissan dealers nationwide. 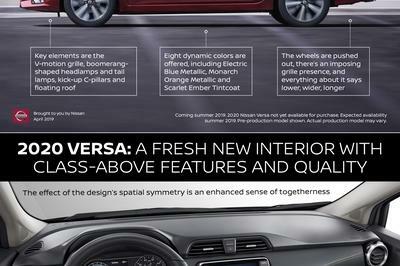 For 2016, Versa sedan will be priced from $11,990 – same as for the 2015. The model remains pretty much unchanged, with the only additions including two new exterior colors and some updates on the interior.